VtWProductions: No Excuses Episode 179 - It's Aliiiiive! 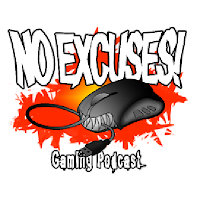 No Excuses Episode 179 - It's Aliiiiive! This week: Fix'd! The Roaming Rig has been repaired so the show is broadcasting live one more. Konami makes a few announcements that leave people scratching their heads. Mobile games, what? Also, the decline of horror games, needing an adult in Tera, WoW botters get the banhammer and Fern is the last person on Earth to watch Gurren Lagann.